When a juvenile detention exercise off the coast of the Kimberley goes wrong, sixteen-year-old Sparrow must swim to shore. There are sharks and crocs around him but the monsters he fears most live in the dark spaces in his mind. He's swimming away from his prison life and towards a desolate, rocky coastland and the hollow promise of freedom. He'll eat or be eaten, kill or be killed. With no voice, no family and the odds stacked against him, Sparrow has nothing left to lose. But to survive he'll need something more potent than desperation, something more dangerous than a makeshift knife. "Sparrow is in juvenile detention, and on an exercise off the Kimberley coast when the boat taking his group back to the mainland catches fire. In a split instant and despite the fear of saltwater crocodiles and sharks, he decides to escape. Reaching the shore and eluding his pursuers, Sparrow has to survive on his wits and determination not to go back. 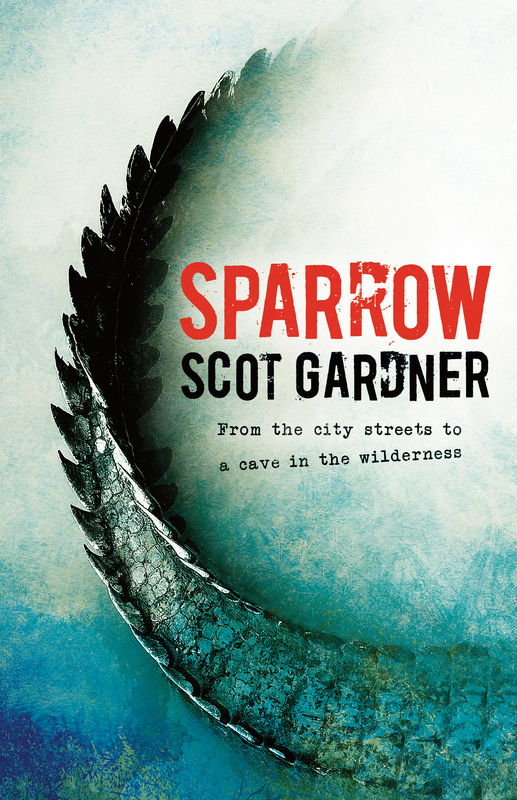 As the reader follows him in his quest for survival in what could be a hostile and unforgiving landscape, we also learn the life that Sparrow is so desperate to escape, and that the wilderness doesn't hold as many threats as his past. Weaving in themes of survival, resilience and environmental awareness, this is an interesting and powerful novel for readers 13+ Lindy Jones"